Berardo Di Matteo finished his Residency in Orthopaedic Surgery at the Rizzoli Orthopaedic Institute (Bologna, Italy) in 2016, under the mentorship of Prof. Marcacci and prof. Kon. In 2016 he received the “Schiassi Award” from the Medical Society of Bologna for being among the residents with the highest number of publications in the University of Bologna. 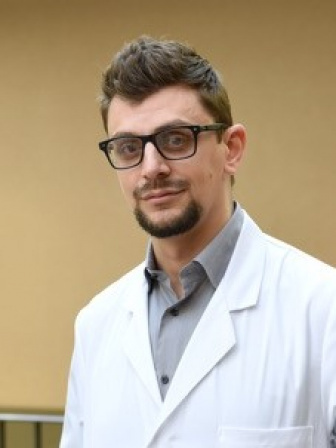 He has been an attending Researcher at the Nano-Biotechnology Laboratory of the Rizzoli Institute, and now he works as a Consultant Orthoapedic Surgeon at the Humanitas Clinical and Research Institute, in the “Center for functional and biologic Reconstruction of the knee”. He is also currently involved in a PhD program at the Department of Biomedical Science in Bologna.